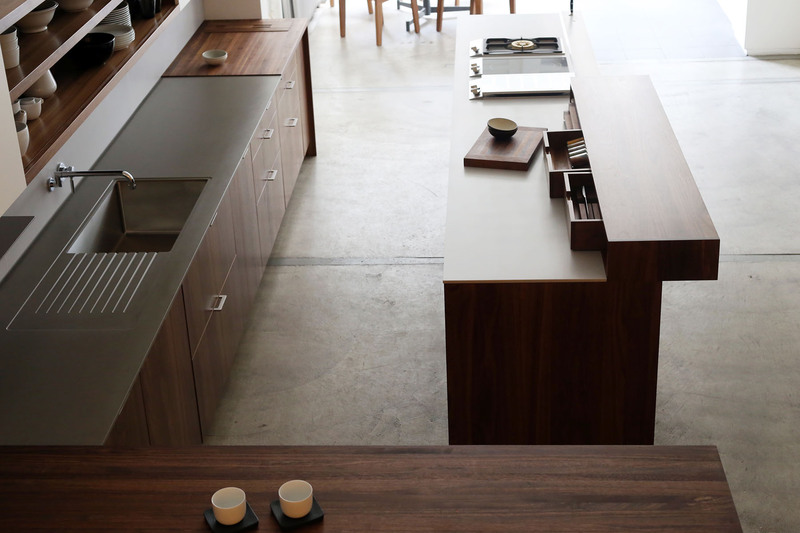 Henrybuilt's worksurfaces are designed for optimal function, with built in features that improve the experience of cooking and serving. 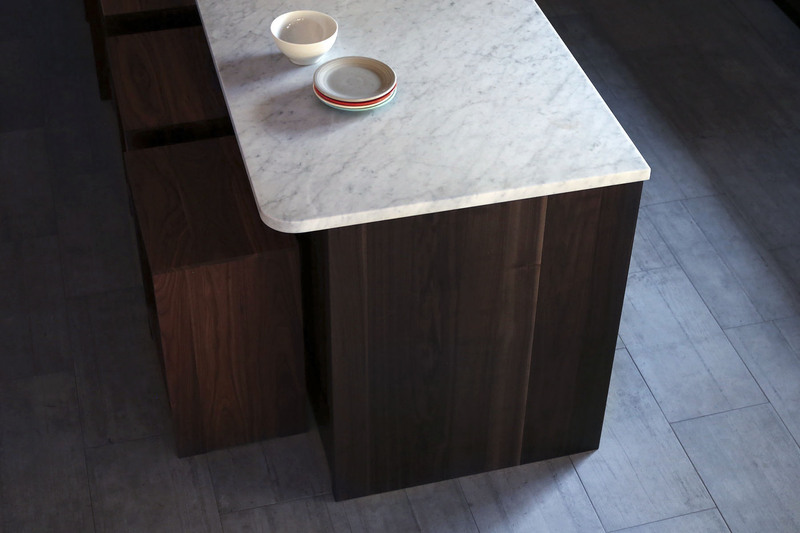 There is no limitation to the countertop materials you are able to use within a Henrybuilt kitchen. If you use stone, we will provide specifications to your fabricator. 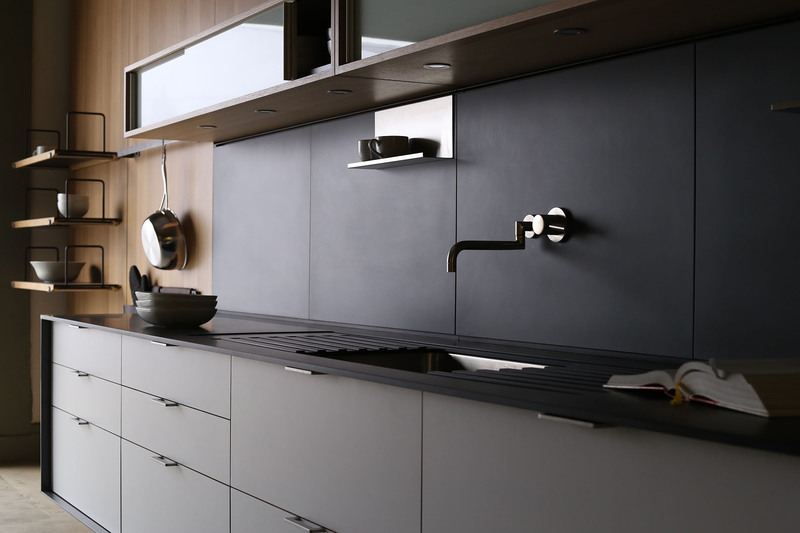 There are advantages to Henrybuilt-provided worksurfaces including counters with drainfields milled into the surface. The drainfields are sized to dimensions that align with our cutting boards and colanders. Sink cutouts are also pre-milled. 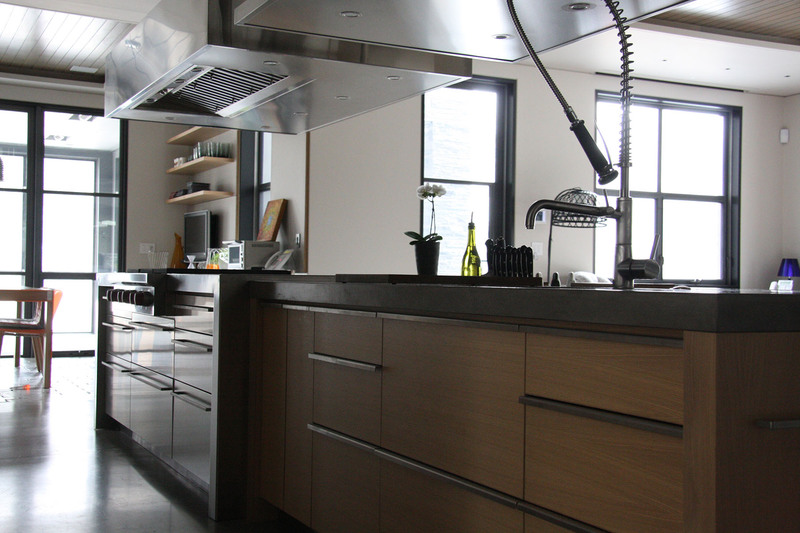 Together these details allow for a more seamless installation with less delay in the process. 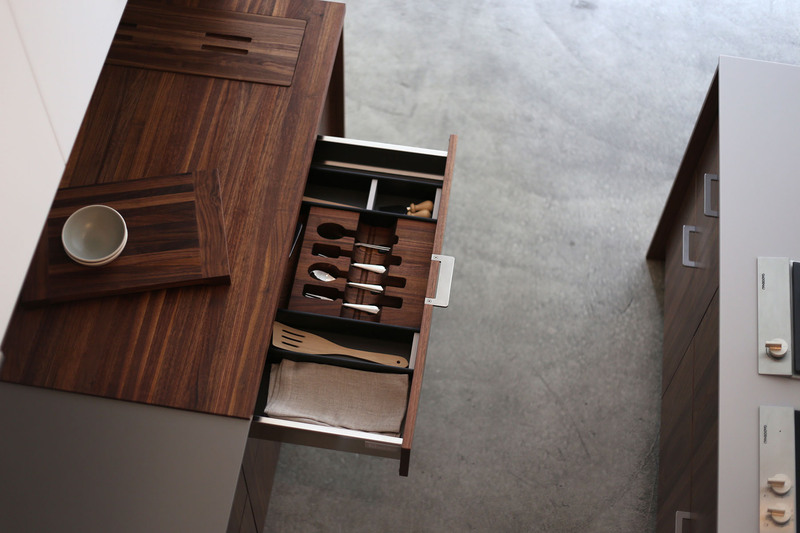 Wood surfaces, including built-in breadboxes, can be designed into a kitchen. The structural strength of Henrybuilt base units allows for the support of any counter, including concrete or stainless. 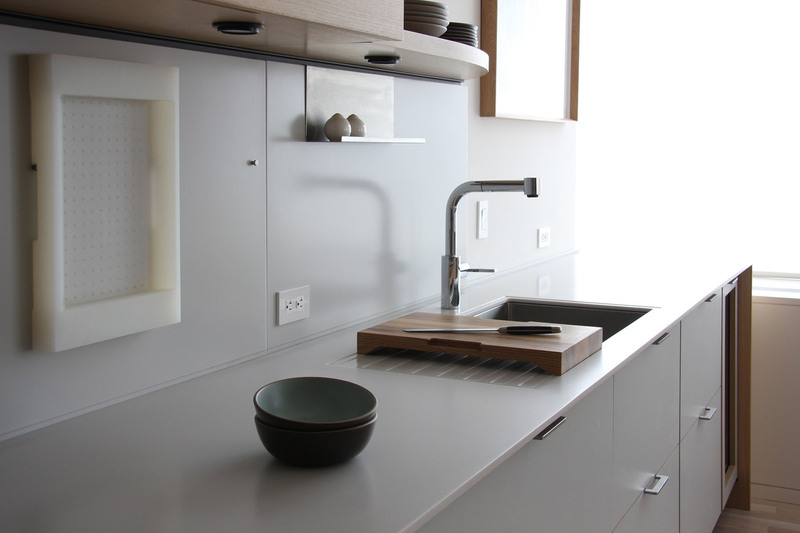 Solid surface and wood worksurfaces are provided milled and finished to size, unless they are left long where they meet a wall to allow sizing onsite. 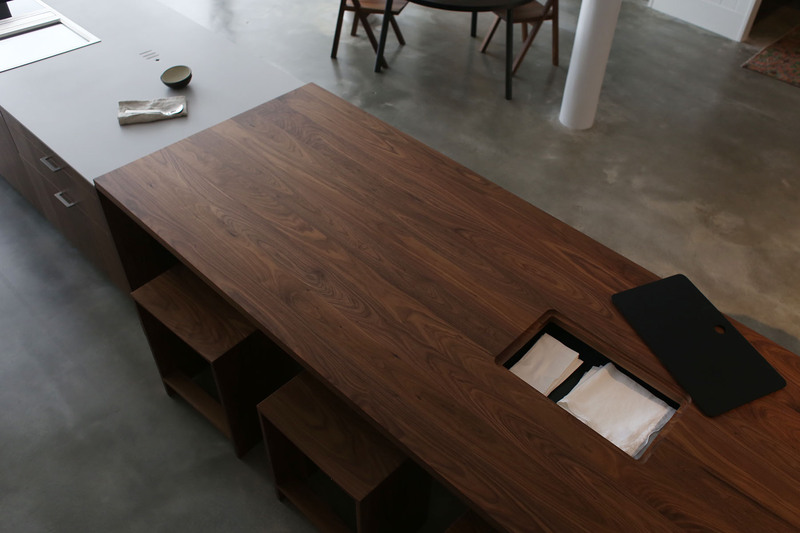 Here, a Henrybuilt in-surface storage bay is shown in a solid walnut island extension table.